Manufacturer, funeral director, municipal official, MLA (1954-1957). 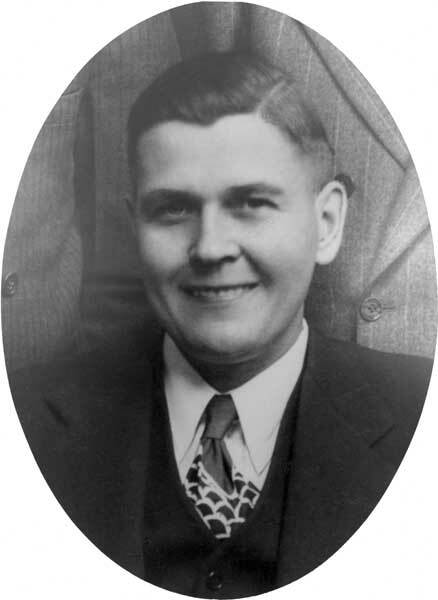 Born at Minnedosa on 10 October 1912, son of Adrian Henry Bullmore and Annie Andrew, he was educated at Minnedosa and Winnipeg, later moving to Dauphin where he established the Bullmore Funeral Home and Dauphin Products Limited. On 11 August 1936, he married Arla Maynes of Harrowby. They had two children: James William Bullmore and Arla Anne Bullmore Porter. He served as a Councillor for the Town of Dauphin (1944-1945) and Mayor of Dauphin (1946-1955). He served on the executive committee of the Union of Manitoba Municipalities and, in 1950, was founding President of the Manitoba Urban Association. He was a member of the St. Paul’s Anglican Church, Dauphin Symphony Orchestra, Dauphin Lions Club, Elks Lodge, AF & AM (Royal Arch Masons), Mount Carmel Preceptory, Khartum Shriners, Order of the Eastern Star, and Benevolent and Protective Order of Elks. He was first elected to the Manitoba Legislature for the Dauphin constituency at the 1953 general election. Initially, he was a member of Social Credit, later being Independent. In 1958, he moved to Winnipeg where he resided until his death, which occurred on 23 August 1972, after a lengthy illness. He was buried in the Minnedosa Cemetery. The Canadian Parliamentary Guide, 1958. Pierre G. Normandin (editor), Ottawa, page 511. Obituary, Winnipeg Free Press, 25 August 1972, page 16.